Before a career in wine, Ginny’s focus was on her art practice. She made work about place: how a relationship to place informs our identity, behavior, and sense of belonging, and how these relationships are anything but stable. While working in restaurants during art school and afterward, she gained an appreciation for wine, and hit a turning point living in South Carolina, where wine and agriculture became her main focus. Wine translated place in a way her art was unable to: it is a living memory of place and season; it connects the drinker to a farmer’s traditions and personal vision; and it is literally consumed, it becomes part of you. Her goal, along with her partner Kyle, was to make a home back in rural Minnesota, close to family, and create a life closer to the land. Often these communities, outside of the city, are food and wine deserts. 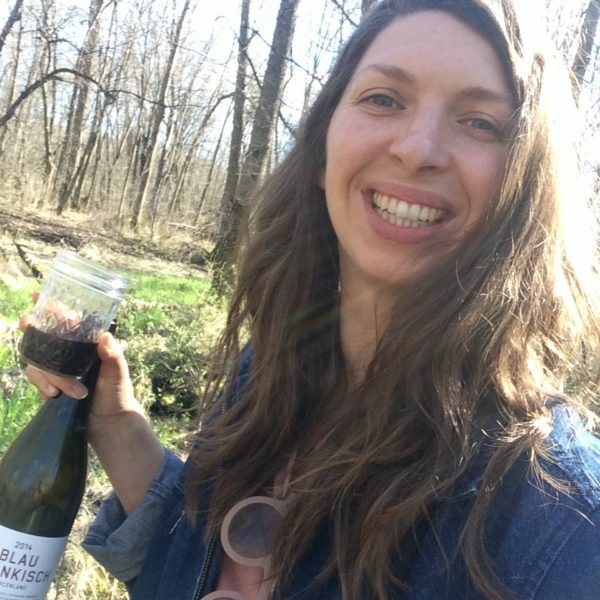 It gives her joy to share wine throughout central and northern Minnesota that is made by small producers who treat their land with love and respect.